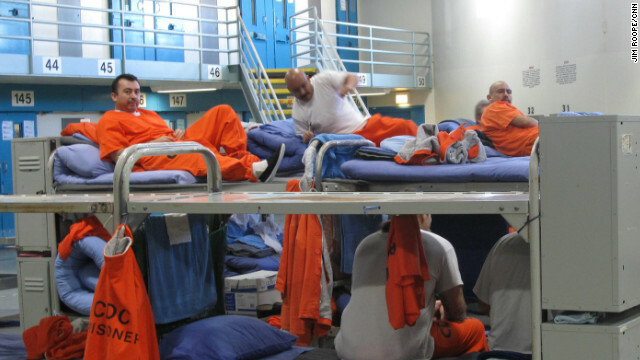 California voters will decide Tuesday if the state’s three strikes law is too tough. (CNN) – One of the more complicated decisions California voters face election day is whether that state’s 'three strikes' law is too tough, or not enough. [:20] "The three strikes law is a very powerful tool to go after recidivists; violent serious criminals; one that we have to retain." Los Angeles's tough-on-crime District Attorney Steve Cooley says the 'three strikes' law works, but it is a bit too tough. [:38] “It has to be used I think, not on individuals who have the prior criminal history that commit non-violent, non-serious such as petty theft with a prior, a two-bit forgery, you know, c'mon, a simple possession of drugs. Not 25-to-life." The punishment, he says, should fit the crime. Cooley says regardless of criminal history, 'three strikes' laws shouldn’t be used for 'catch-up' prison time for paroled felons. Mike Reynolds is the citizen force behind the original 'three-strikes' law in California. His 18-year-old daughter Kimberly was shot to death 20 years ago outside a restaurant in Fresno, California by one of the two repeat-offenders who tried to steal her purse. [1:29] "Should a twice-convicted serious or violent offender be allowed to commit another serious and violent crime or more serious or violent crimes?" However, University of California, Riverside Sociology Professor Robert Nash Parker says a 60-year study on trends in violent crime concludes 'three strikes' laws have no effect. One reason is that violent crimes began declining in California and across the US, two years before the first 'three strikes' states began enacting their versions of the law.